I've been on a ride for the past few days. 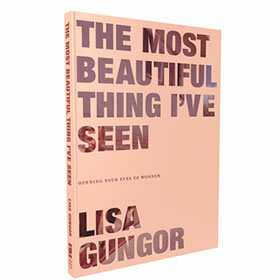 I have eagerly awaited the release of Lisa Gungor's new book for a few months now. Her blog post a few years ago about the birth of her daughter Lucie absolutely slayed me. It was thoughtful, reflective, and did not hide from the extreme emotions that she was feeling. As someone who spends his living walking people through the difficult parts of their lives, I wanted to know what Lisa had learned, and what she'd experienced since that blog post. What I got, instead, was a greater reflection on everything that has shifted her thinking and understanding of the world since childhood. And it's powerful. Lisa has written a book that speaks to me in the same way that When Bad Things Happen to Good People and Stumbling Toward Faith did. It forces the author and the reader to ask the difficult faith questions. "Where is God when things fall apart?" "How can a good God allow evil and pain and suffering in the world?" "Is God even real? Can God be real if such horrors exist in the world?" These are important questions of faith, but are questions that are often stifled by Christians. Lisa doesn't shy away from these questions. And many of her answers come through great suffering. From Christians turning on their band, to being asked to leave their community of faith, to the death of a loved one, to finding out that her child has Down's Syndrome, Lisa and Michael have suffered greatly. However, through it all, Lisa has found beauty and joy in the present. She walks the reader through her evolution of faith. She mentions near the end of the book that this isn't a "how-to" guide for the reader. But no book about an evolving faith could possibly be a "how-to" guide, because faith evolves differently for different people. What is helpful for the reader is watching somebody else's faith stretch, change, and at times fall apart, and realizing that this is what faith is supposed to do. It's okay for faith to stretch and change. It's healthy. I loved this book. I needed this book right now. Highly recommended. A warning, though: be close to a box of tissues. It's an emotional ride.